Once we reached the path created by the by the bulldozers for the building of the Apartheid Wall we dug the earth and plated the thirty two olive trees in a row - instead of building an ugly wall that divides people, let us plant trees that bring people together. Several of the participants made statements condemning the violence that we all, as the human family are witnessing and condemning the building of the Apartheid wall and the killing of innocents. 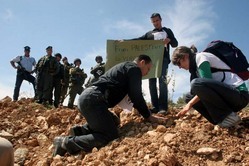 Over 150 Israeli soldiers came to dismantle our protest. Our commitment to nonviolence and to achieve our goal completely paralyzed their weapons and their goals and eventually our power made them withdrawal. 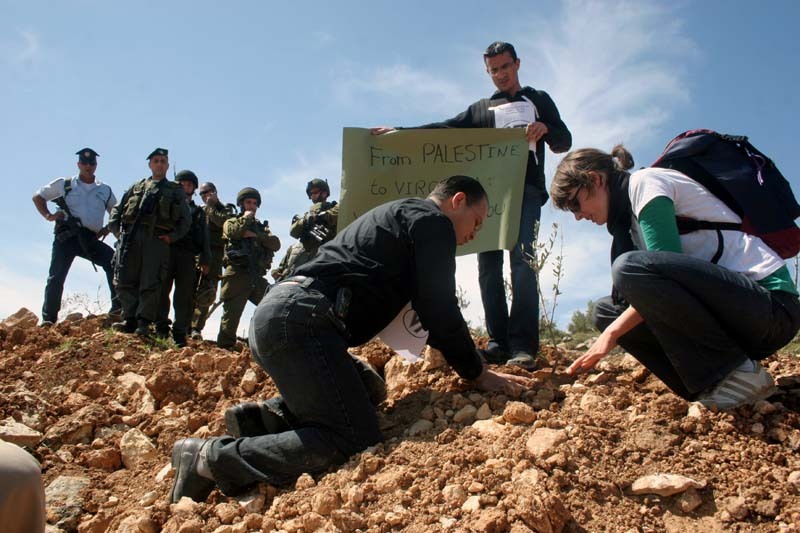 Sami Awad (Text) and Muhamad Zboun - PNN (Photo), “From Palestine to Virginia Tech,” The April 16 Archive, accessed April 18, 2019, http://www.april16archive.org/items/show/1046.